Successfully Added Fluorescent UV Money Detector to your Shopping Cart. 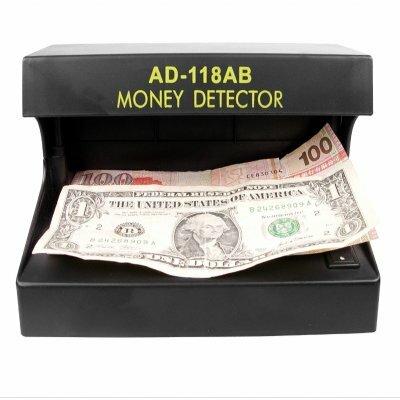 Great electronic money detector. Never be fooled by false money bills again. This money detector uses a 4 W ultraviolet bulb and is incredibly easy to use. Simply turn the lamp on when you have a questionable bill note and place it under the detector. Watermarks and any other distinguishing marks should appear and you can verify for yourself. A great wholesale item brought to you with Chinavasion no MOQ and direct shipping right to your door. Securely order your sample today.